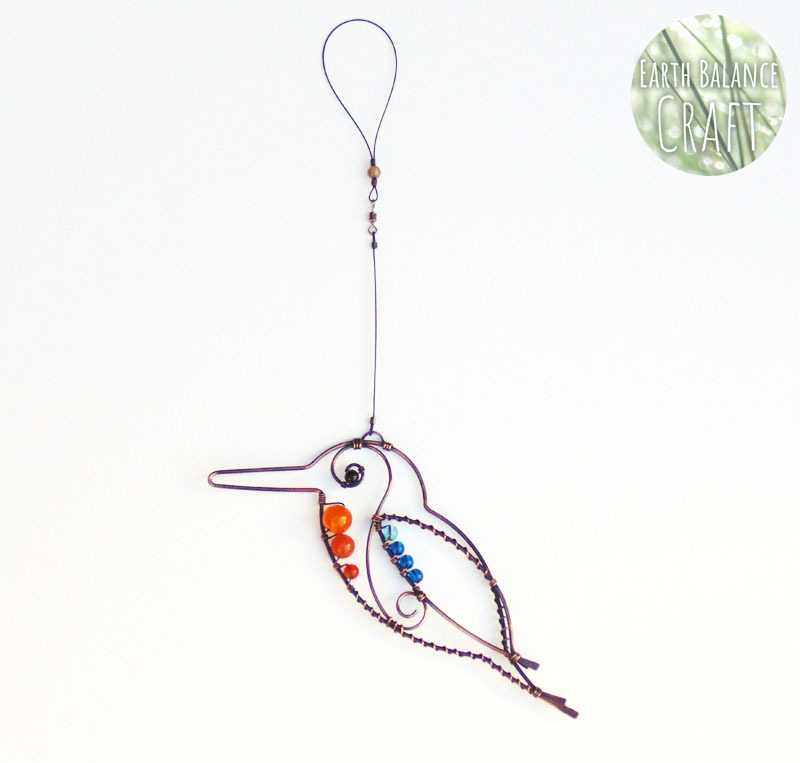 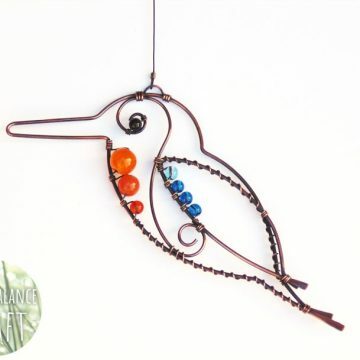 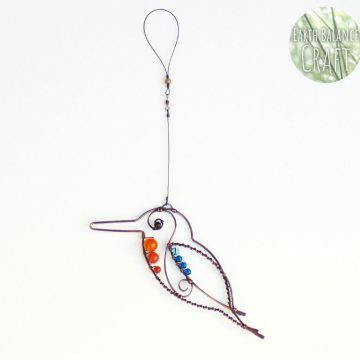 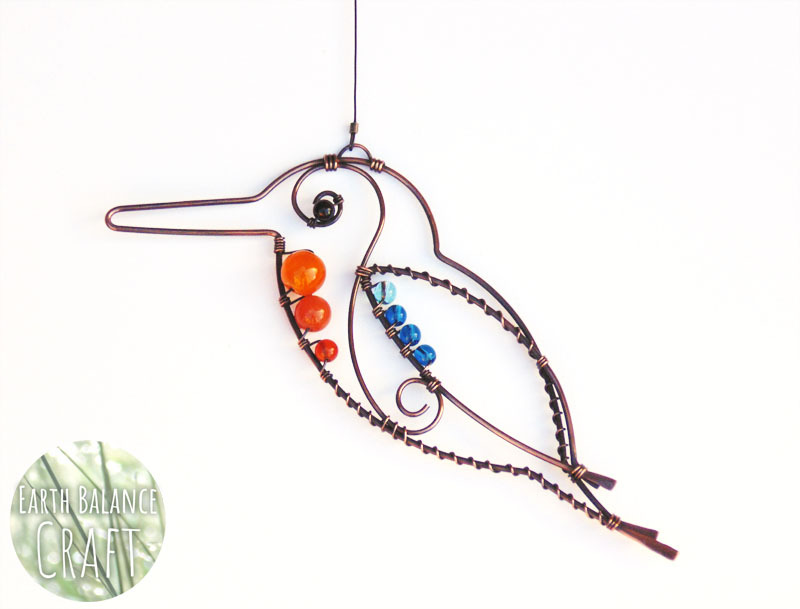 Kingfisher Decoration - Hand Made Copper Wire Work Wall Art. 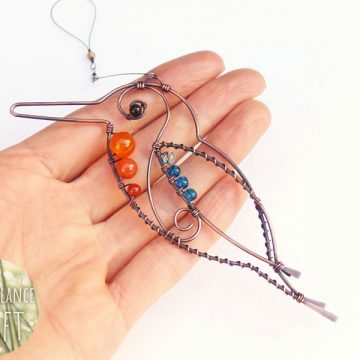 Beads: Botswana agate, quartz, agate and Czech glass. 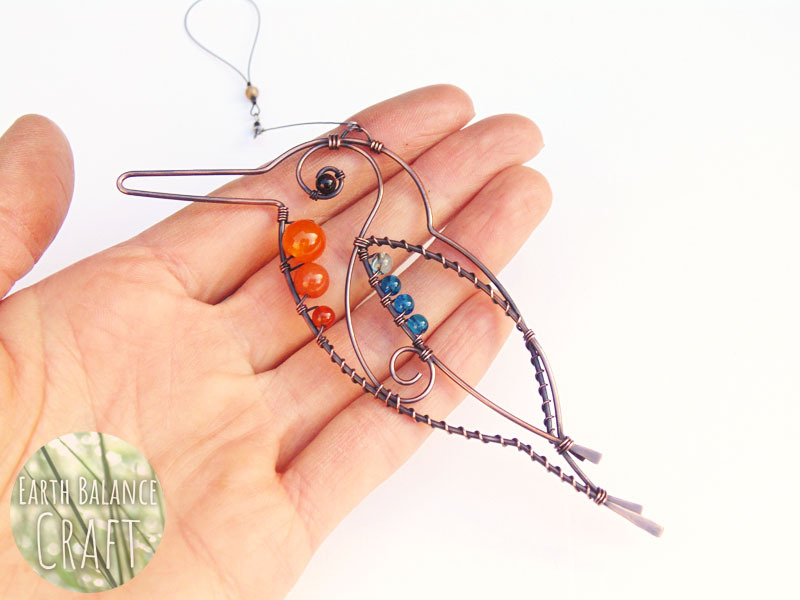 Tail to Head Measurement Approx: 13cm / 5.1 inches.